Congratulations to tour winner Danielle M. and to host winners Bookaholic and Notes from a Romantic's Heart. 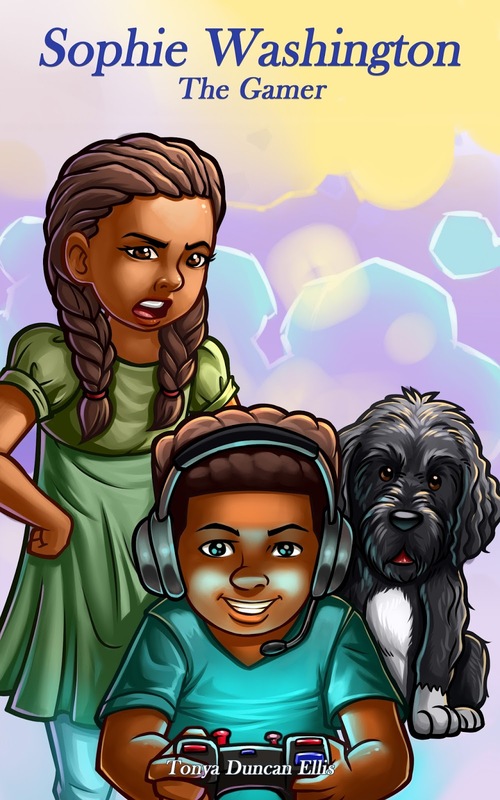 Goddess Fish Promotions is organizing a Virtual REVIEW ONLY Tour for Sophie Washington: The Gamer by Tonya Duncan Ellis, a 96 page Children's (Middle Grade) available now from Dog Ear Publishing. The tour will run every Wednesday for 4 weeks starting on March 14, and the book is available in PDF and ePub formats. Tonya Duncan Ellis will be awarding a $25 Amazon or Barnes and Noble GC to a randomly drawn winner via rafflecopter during the tour, and a $25 Amazon or Barnes and Noble GC to a randomly drawn host. Because this is a review tour GFP will award a randomly drawn host a $5 Amazon GC. Sixth-grader Sophie Washington and her friends are back with an interesting book about having fun with video games while keeping balance. It’s almost Easter, and Sophie and her family get ready to start fasts for Lent with their church, where they give up doing something for 40 days that may not be good for them. Her parents urge Sophie to stop tattling so much, and encourage her second-grade brother Cole to give up something he loves most, playing video games. The kids agree to the challenge, but how long can they keep it up? Soon after Lent begins, Cole starts sneaking to play his video games. Things start to get out of control when he loses a school electronic tablet he checked out without his parents’ permission, and comes to his sister for help. Should Sophie break her promise and tattle on him?